“Watch” What You Eat: Certain foods can help keep eyes healthy. The antioxidants in coffee are beneficial to eye health, as are eggs, leafy greens, berries and cold-water fish such as salmon. The omega-3 fatty acids in salmon help prevent dry eyes and keep the retina healthy. Protect Your Vision: Did you know that 90% of sports-related injuries affect the eyes? Any type of safety eyewear will protect the eyes — sunglasses, safety glasses, eye guards and safety shields. It is very important to wear protective lenses or goggles that have UV protection if you work in a hazardous environment like a construction zone or workshop, or participate in ball sports or extreme sports. Don’t Overlook Exams: When it comes to eye health, one of the greatest ways to protect yourself is with annual comprehensive eye exams. 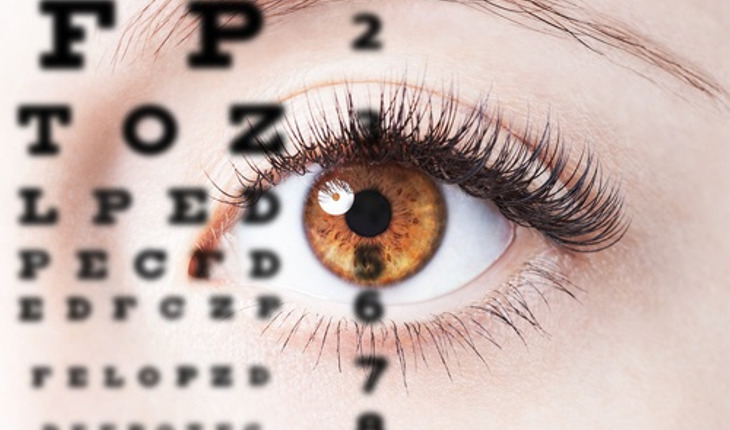 Compared to a vision screening that only tests vision for acuity, a comprehensive eye exam checks for acuity as well as overall eye health. Never End The Day with Makeup: Sleeping with makeup on can be bad for your eyes. For example, allergic reactions, dry eyes, loss of eyelashes, toxic heavy metals and bacterial infections can occur if makeup is not removed and builds up. Removing that old mascara, eye shadow or eyeliner not only promotes eye health, but is good for your skin too. Just Walk Away: “Computer vision syndrome” and digital eye strain are very real and affect 75% of computer workers, leading to muscular strain, muscular stress and eye discomfort. Wearing computer glasses, taking a break, magnifying text, blinking frequently and making sure the screen is 20-28 inches away are all ways to prevent computer vision syndrome. For more information on Think About Your Eyes, click here.